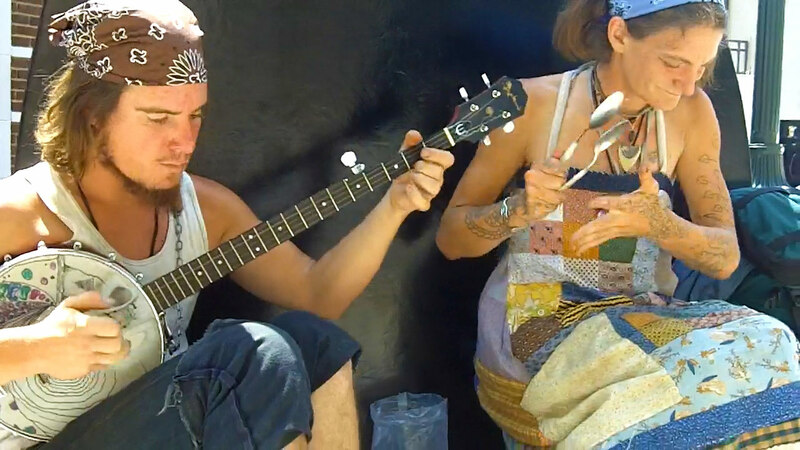 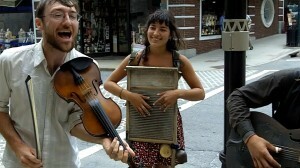 Banjo Ben and Abby the Spoon Lady playing in downtown Asheville. 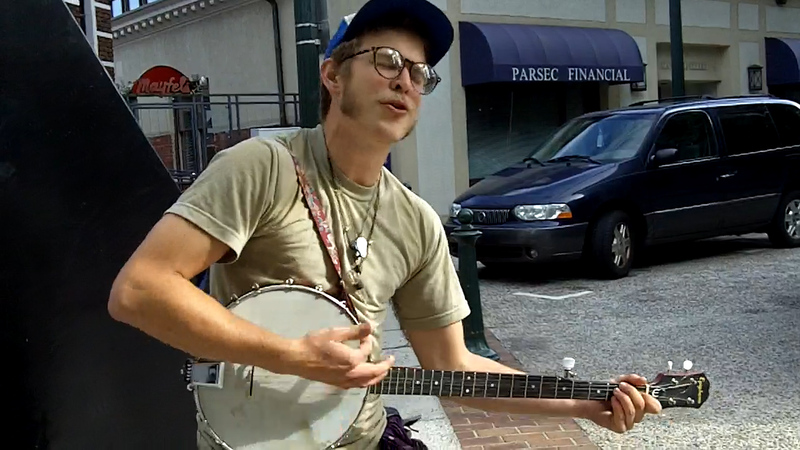 Caster performs in front of the Iron Sculpture in downtown Asheville, NC. 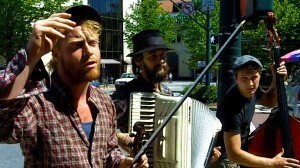 Matt Heckler, Trevor Grassi and Jeff Loops, with unseen members of Balkan Death Grip, perform near Pritchard Park in downtown Asheville, NC. 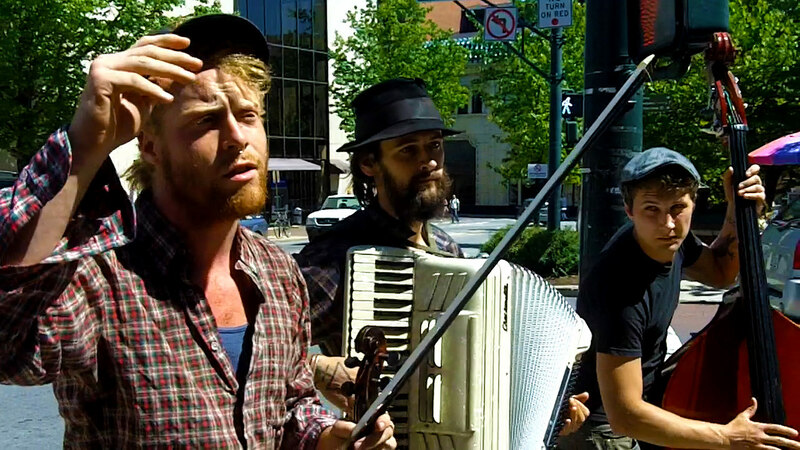 Aaron Gunn and friends perform his original tune “Caffeine” in front of the Woolworth Walk.